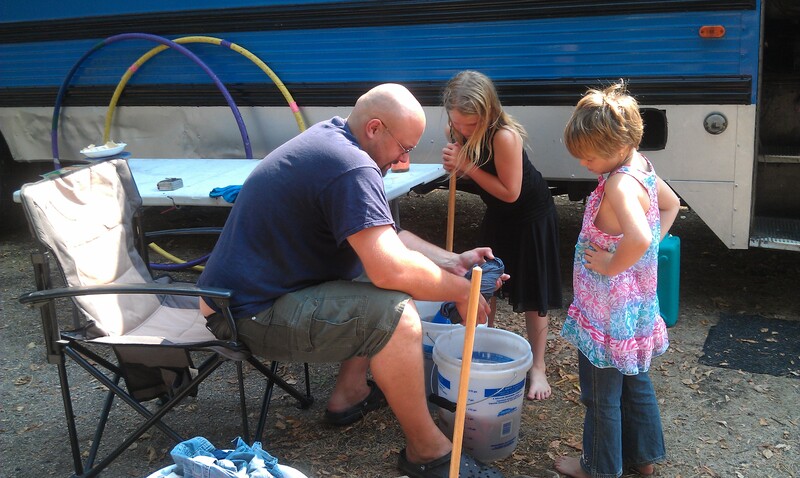 The lake was the perfect place to use our Breathing Mobile Washer to clean our clothes. 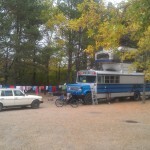 The nearest laundry was a 45 minute drive, and we arrived with a mountain of laundry! 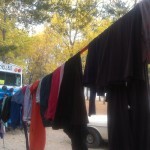 The breezy, very dry, conditions usually had the clothes dried in no time. 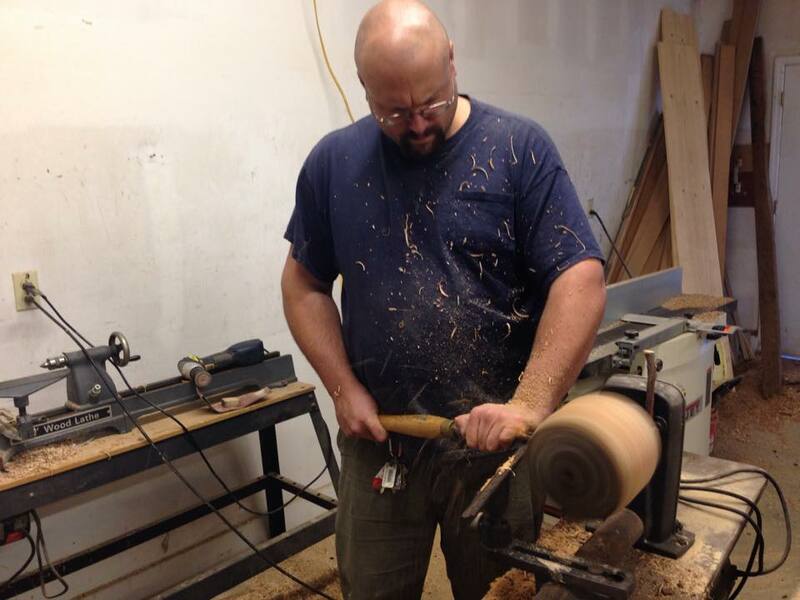 Here is a video of the Breathing Mobile Washers being used, along with our newly acquired antique hand-crank clothes wringer. 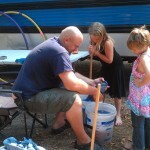 This entry was posted in Camping Activities, Products We Sell, The Breathing Mobile Washer on October 22, 2012 by Chasity.